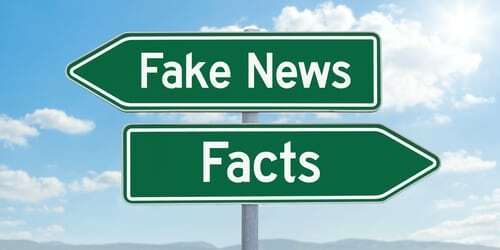 It’s easy to feel cynical in this “post-truth” era when appeals to emotion and personal beliefs appear to be more influential than objective facts in shaping group beliefs and opinions. Why should the accounting sector be any different to mainstream media in this regard? In recent years, accountants in public practice have been exposed to a barrage of advice and opinion suggesting that compliance is dying and firms need to re-invent themselves to become more advisory focused. And this message is not just limited to accountants. In many professional service industries including law, engineering, marketing and even medicine, technology appears on the verge of taking over or even eliminating a host of routine compliance, administrative and diagnostic tasks. Add to this changing regulations including the recent removal of the accountants’ exemption and it’s not surprising that leaders and managers of accounting firms are anxious about the future. At the same time, it’s clear that the world of public practice accounting is not collapsing. Firms that are relevant to their client’s needs are still generating growth and profit for their stakeholders. The 2016 Good Bad Ugly Benchmark report observed that, whilst compliance revenue has fallen from 76% to 60% of total revenue over the past decade, the dollar value of compliance work has actually increased over this time. So clearly, compliance is not yet dead! The same report showed that revenue from business advisory services sits at around 9% of total revenue for firms with up to 4 partners. Certainly, some firms have achieved significant growth off a low base, but most smaller firms are still struggling to get any significant leverage from business advisory services, despite the plethora of new systems and software tools. To a large extent, the growth in non-compliance services has been most prominent in the mid-tier and top-tier firms that have the ability to build strong advisory platforms through direct acquisition of specialists. One recent report suggested that the proportion of revenue attributable to non-compliance services was around 60% for firms with > $10 million revenue, and increasing. For the big 4 firms, it’s even more – around 75% of revenue according to one report. For smaller firms, leverage (or lack of it) is a key challenge. There’s no question that the use of outsourcing as a cost-effective way of creating leverage is significantly increasing. One report suggested that over 35% of firms now use outsourcing, up from around 20% a decade ago. Almost 50% of firms said they were likely to outsource services in the next 12 months. It’s not just the interest in advisory services that’s driving this, it’s also the need to decrease the cost of tax compliance services as price competition increases. There’s no doubt that there are people who are really having success in the world of financial and business advisory services. More often than not, these people have a specific capability or expertise that gives them an immediate advantage. They have the confidence to clearly articulate the value that they add. They don’t need software tools to assist them with this process, but they carefully choose and use the right tools to create more capacity and leverage. And then there are the people who want to stay relevant to their clients with whom they already have strong enduring trusted relationships as accountants. They can see the attraction of advisory services in generating growth and profit, but recognise that compliance is still the foundation for existing professional relationships. The senior people in these firms continue to deliver advice on an ad hoc basis. Without the ability and confidence to leverage effectively, they will struggle to transition to advice. No system or advisory tool will make this process easy. So, is the ongoing discussion about the need to transition from tax compliance to advisory services just another example of ‘fake news’ when the objective facts confirm that the dollar value of compliance is growing? The truth is that ultimately we all make decisions and take actions on the basis of our emotions and personal beliefs, supported by our understanding of the facts (and not the other way around). Accountants in public practice are trying to make sense of the impact that changing technology and regulations are having on the way they service their clients. Some react by moving quickly to take advantage of new opportunities and others keep doing what they’ve always done, just in a more efficient and effective way. There’s room for both innovators and traditionalists in the changing environment of public practice. Effective firms of the future will include both generalist accountants and specialist advisors providing great value to clients with different approaches and services. The keys to success are effective collaboration between service providers and leveraging service delivery wherever possible. Rather than spending time working out how to make the transition from compliance manager to business or financial advisor, you may be better off focusing on doing what you do as effectively as you can and working more closely with advisory colleagues who deliver specialist services. The one thing you will need to do more of is to take the time to really understand the needs and interests of your clients. In your firm, do you encourage collaboration between staff with a strong compliance focus and those with a keen interest in providing advice? Is there a sense of trust and engagement between colleagues in managing client relationships and understanding their needs?